Photoshop, when it is born, the main job for it is to retouch picture. Even though it has lot of other function, it still the main tool used to restore and polish picture. 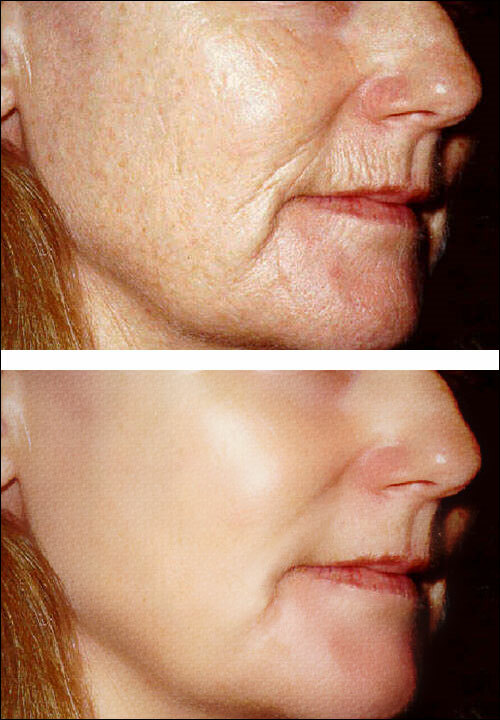 following, I will see some simple steps to show you how to make a wrinkled face back to younger again. The main tools we use are “surface blur” and “Healing brush Tool”. Of course, if you want to add more detail, you can use “add noise” to make some facial texture. So, our target will not look like so plastic. Following is the picture shows before and after face. after that, you will find your target just look like so plastic, some place of the skin is so smoother that won’t like a real human. The picture at right will show the comparison between the face after “Surface Blur” (left) and our final face(right); So we should do something to blend the blurred face with our original. Add a “Vector Mask” for our blurred face, use a blurred brush to draw at the place you want to show up. After that, adjust the opacity for the blurred layer. So we can show a bit of original picture to the face more real. If you still find there are some wrinkle need to be removed, select the “Healing Brush” from the tool bar, sample the skin tone you like, press on the place you want to cover. that’s all. Hope I make it clear enough. Waaaaaaa!!! I have no word about it.